Versatile defender Gary Ablett helped Liverpool to a fair haul of medals as a player before repeating the trick in the dugout. 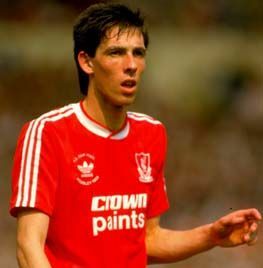 After signing terms as an apprentice in 1983, Ablett made his debut under Kenny Dalglish when replacing an injured Alan Hansen in a 0-0 draw at Charlton in December 1986. He scored his only goal for the club later that season when making his Anfield bow in a 3-0 victory over Nottingham Forest. The Aigburth-born star helped Liverpool to the league title in 1987-88, playing a key defensive role behind John Barnes on the left flank during the second half of the season. The following year he covered at centre-half, missing only three games and starting in the famous FA Cup final victory over Everton. Ablett collected another First Division winners' medal in 1989-90, before braving the direct trip across Stanley Park when Graeme Souness sold him to Everton for £750,000 in 1992. He became the first player to lift the FA Cup with both Merseyside clubs when the Toffees triumphed over Man United in 1995. The Scouser then went on to make more than 100 appearances for Birmingham, as well as spending time with Wycombe Wanderers, Blackpool and the Long Island Rough Riders, before switching to the dugout in 2002. His early coaching career mirrored his playing days, starting with the Everton youth set-up before replacing Paco Herrera as the coach of Liverpool Reserves. Ablett's appointment soon brought success, with his side winning the Premier Reserve League North in April 2008 before defeating Aston Villa 3-0 at Anfield a month later to become national champions. Liverpool and Ablett parted company in May 2009, after which he accepted a position as boss of Stockport County, where he remained for one season before taking up a role as a coach with Ipswich Town. Sadly, Ablett was diagnosed with non-Hodgkin's lymphoma in the summer of 2010 and he tragically lost a 16-month battle with the illness on January 1, 2012.